MarketsandMarkets expects the global enterprise Artificial Intelligence (AI) market to grow from USD 845.4 million in 2017 to USD 6,141.5 million by 2022, at a Compound Annual Growth Rate (CAGR) of 48.7% during the forecast period. The rising demand for AI-based solutions and platforms, and the need to analyze large and complex data sets are expected to drive the growth of the enterprise AI market. The slow digitization rate, affecting the adoption of enterprise AI solutions in the emerging economies, is expected to act as the major restraint for the market growth. In the enterprise AI market, the cloud deployment type offers multiple benefits, such as reduced operational and maintenance costs, fewer complexities, and more scalability. The enterprise AI providers are focusing on the deployment of robust cloud-based solutions for their clients, as many organizations have started adopting the cloud-based deployment type. Additionally, the cloud deployment type is user-friendly, cost-effective, and easy to access. The enterprise AI market by technology is subsegmented into machine learning and deep learning, and Natural Language Processing (NLP). Among these, the machine learning and deep learning segment is expected to have the larger market size during the forecast period. The machine learning and deep learning technology offers the most robust methodology to tap into the area of context that involves human-computer interactions, and provides close predictions based on the past data. This technology is useful in enterprises for automating the business operations. Among regions, North America is expected to have the largest market size in the enterprise AI market during the forecast period. The North American region has shown increased investments in the market, and several vendors have evolved to cater to the rapidly growing market. A considerable growth is expected in the region during the forecast period. The major initiatives taken for the growth of the enterprise AI technology have their origin in this region. The organizations in this region have lately been making the best use of technology to eliminate operational hassles and ease their functioning. In-depth interviews were conducted with Chief Executive Officers (CEOs), marketing directors, innovation and technology directors, and executives from various key organizations operating in the enterprise AI market. The report includes the study of the key players offering enterprise AI solutions, hardware, and services. IBM (US), Microsoft (US), AWS (US), Intel (US), Google (US), SAP (Germany), Sentient Technologies (US), Oracle (US), HPE (US), and Wipro (India) are a few companies that have been profiled in the report. The report includes an in-depth competitive analysis of these key enterprise AI market players, along with their company profiles, which include business overviews, product offerings, recent developments, and market strategies. The enterprise AI market has been segmented on the basis of components, technologies, services, application areas, deployment type, organization sizes, industries, and regions. The components segment is further segmented into solution and services. The services segment includes professional services and managed services. The technology segment of the enterprise AI market includes machine learning and deep learning, and NLP. The application area segment includes security and risk management, marketing management, customer support and experience, human resource and recruitment management, analytics application, and process automation. On the basis of deployment type, the enterprise AI market has been divided into cloud and on-premises deployments. On the basis of organization sizes, the enterprise AI market has been divided into Small and Medium-sized Businesses (SMBs) and large enterprises. Finally, on the basis of regions, the enterprise AI market has been segmented into North America, Europe, Asia Pacific (APAC), Middle East and Africa (MEA), and Latin America. The report segments the market into various subsegments, hence it covers the market comprehensively. The report provides the closest approximations of the revenue numbers for the overall market and the subsegments. The market numbers are further split across various verticals and regions. The report helps in understanding the overall growth of the market. 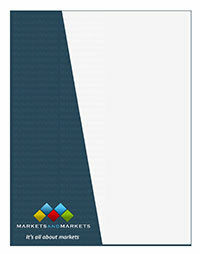 It provides information on the key market drivers, restraints, challenges, and opportunities. The report helps in understanding the competitors better and gaining more insights to strengthen their positions in the market. The study also presents the positioning of the key players based on their product offerings and business strategies.